Our pork pie, traditionally eaten cold, is perfect as part of a Ploughman's Lunch, or with mustard and a cold beer! Made using traditional British Recipes and only the finest free range local pork. We bone out the pork in-house, and also make our own lard which gives them their delicious hot water crust pastry. Our pies are baked in the traditional manner, without using a supporting hoop or tin, which gives them their classic bow-sided shape of an authentic Melton Mowbray Pork Pie. An ancient food, first described in Homer's Odessey in about 800BC. Pacdon Park's best Black Pudding, made in the traditional way, is a real delight and an essential part of any cooked breakfast. Great Chieftain o' the pudding race! Australia's only award winning haggis, our true Highland Haggis is made using local lamb pluck and flank. Pacdon Park's Irish recipe white pudding is made using local beef suet, oats, cream and bacon. Completes any cooked breakfast or works brilliantly as a stuffing! Our unsmoked streaky bacon is made using free range pork belly which has been dry cured using a mixture of English herbs in the traditional way. Preservative, nitrate and preservative free, our streaky bacon is the perfect addition to a cooked breakfast, or is delicious wrapped around our sausages or chicken and baked in the oven. Our cold smoked bacon is made using free range pork loin which has been dry cured and then cold smoked to give that unmistakeable taste of British bacon. Preservative, nitrate and preservative free, our cold smoked bacon makes the perfect bacon butty! Our unsmoked gammon is made using free range pork leg which has been cured with an apple brine. Available in steaks, or in the traditional joins to boil and bake at home to create a succulent Gammon Ham. Pacdon Park sausages are all made using the finest free range pork shoulder. With five flavours, all which champion the pork itself, they are perfect for the bbq, breakfast or of course sausage and mash. We are happy to make large and small pork pies to order with varying designs. We have even done a couple of tiered wedding pork pies! We can also organise other items to go with the special pie, so just ask! Bespoke sized sausages are no trouble for us! 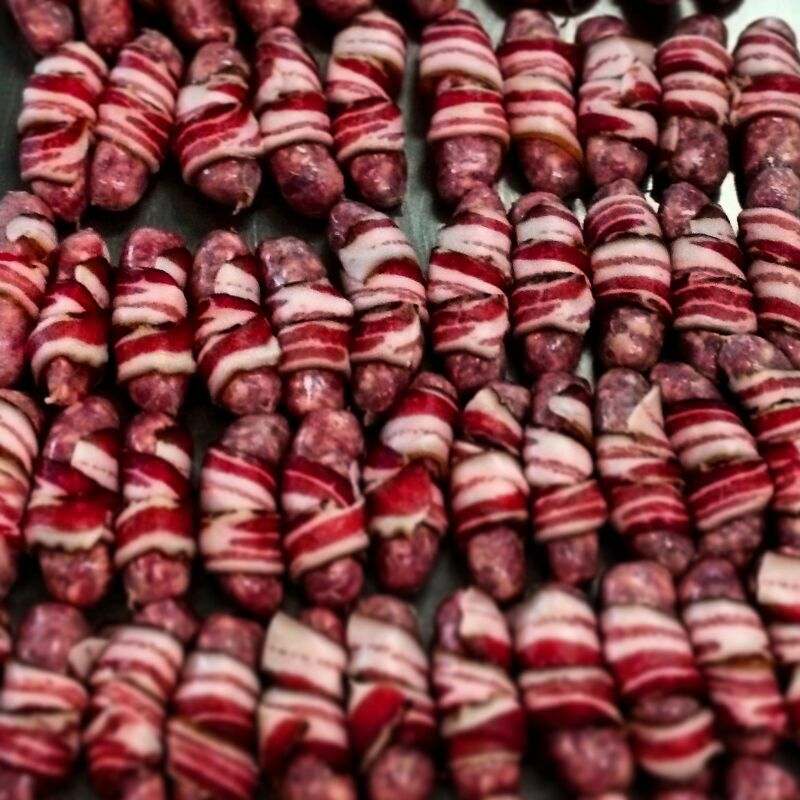 Whether you want chipolatas, pigs in blankets using our own nitrate and preservative free bacon, or even large Cumberland coils we can do them all. 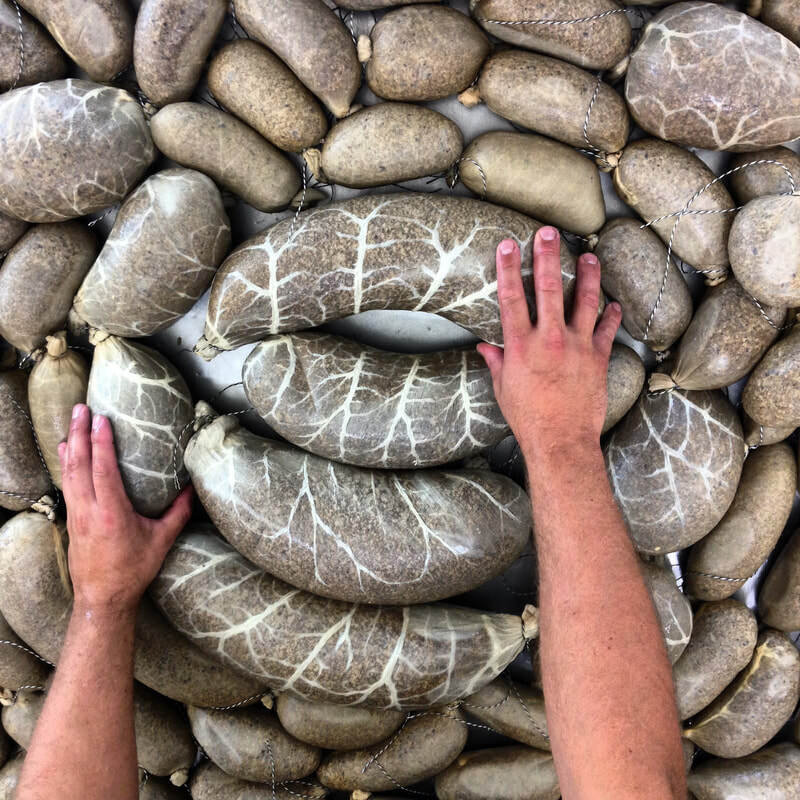 Need a Chieftain Haggis to pipe in at your Scottish event, or Burn's Supper? We can make haggis in all sizes from 200g portions up to 3kg in size. Black pudding can also be made in Chubs by order too.